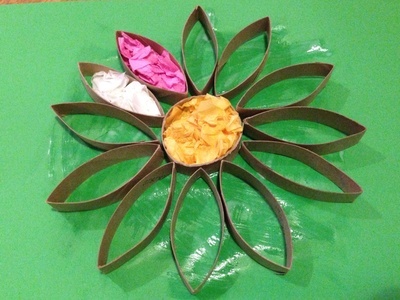 Here's a great 3D flower picture to make from a recycled cardboard tube and tissue paper. 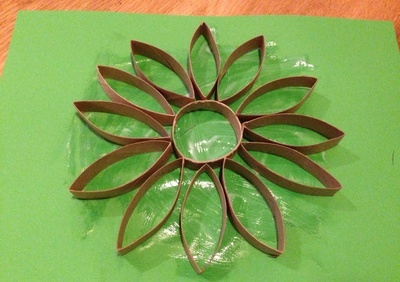 Cut a 1cm disc off the end of a cardboard tube to make the round centre of your flower. 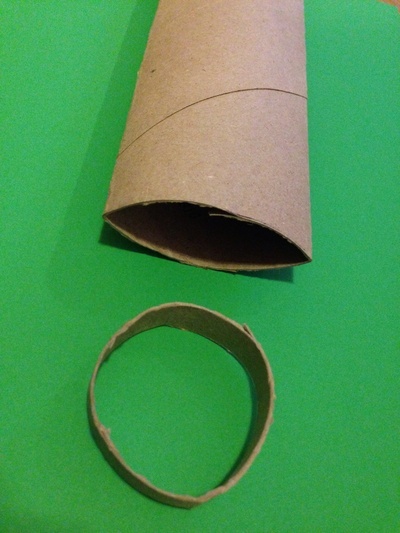 Squash the cardboard tube flat, creasing the edges. 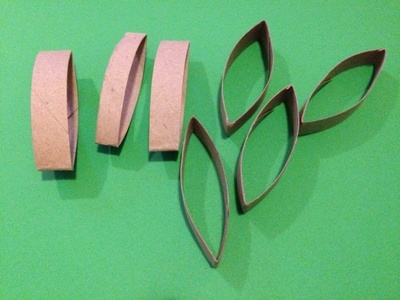 Cut 1cm pieces off the squashed cardboard tube. These make the flower petals. Spread glue over the centre of your paper or card. Stick the round centre of the flower onto the glue. 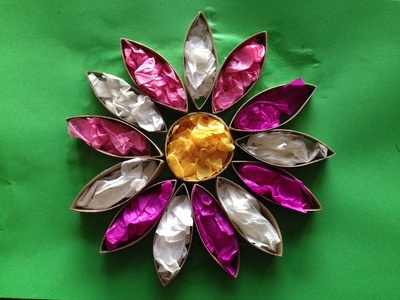 Stick the petals onto the glue, arranging them around the circular flower centre. 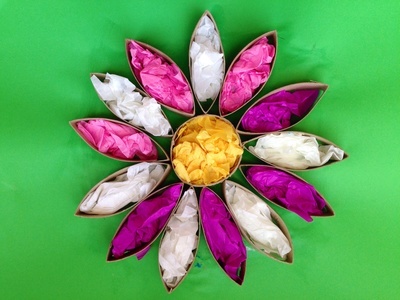 Scrunch coloured tissue paper and fill the flower centre and flower petals, pressing onto the glue.